It took a while, but the Baltimore Orioles have finally filled the last remaining managerial vacancy in Major League Baseball. On Friday, the club formally announced Brandon Hyde as their new skipper. Hyde has been a member of the Chicago Cubs’ organization since 2013, most recently as the team’s bench coach. “After conducting an intensive search, I believe that we have found the ideal leader for the next era of Orioles baseball,” Orioles GM Mike Elias said in a statement. Elias himself is also new to the Orioles. The team named him their new GM less than a month ago after seven years in the Houston Astros’ front office. He decided to take his time finding the right manager. Together, Elias and Hyde have a tough task ahead of them. However, both have played a part in a recent World Series victory, Hyde while with the Cubs in 2016 and Elias with the Astros in 2017. Hyde does have managerial experience in the minors, doing so in Miami’s farm system from 2005 to 2009. He then served as bench coach for the Marlins from the middle of 2010 through the end of the 2011 season. 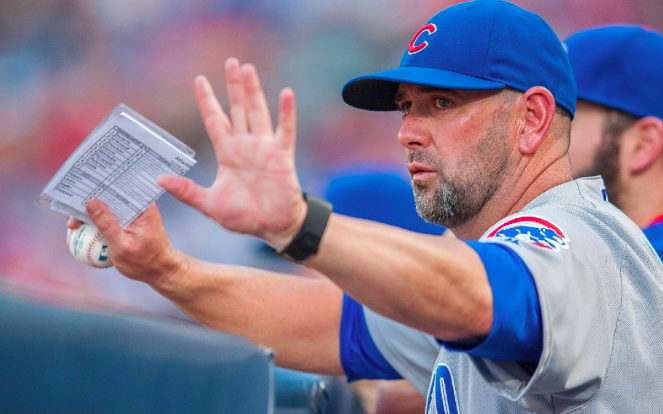 Hyde joined the Cubs before the 2012 season, serving as Rick Renteria’s bench coach until being reassigned as the first base coach when Joe Maddon was hired in 2015. He was promoted back to bench coach prior to the 2018 season. As a first-time manager, Hyde has a monumental job ahead of him. The Orioles were the worst team in baseball last season, going 47-115. Along the way, they traded away many of their established stars in an effort to start the rebuilding process. That means Hyde will arrive at spring training in 2019 with a roster lacking established big leaguers. Expectations may even be lower than they were at the start of the 2018 season. However, Hyde will have to find a way to start turning the Orioles into a viable major league team. The silver lining will be that both Hyde and Elias know that rebuilding the Orioles will take several years. Baltimore’s farm system is still lacking high-end talent, so it’ll take time for the Orioles to build from the bottom up. Fortunately, Hyde appears to have the appropriate background for such a job. Despite a lack of managerial experience at the major league level, he has experience in player development and has spent plenty of time around young teams that are learning to win. The caveat is that with such a long rebuilding project ahead of them, the Orioles may not know if Hyde is the right person for the job for a few years.